You'll see an Add Account window. 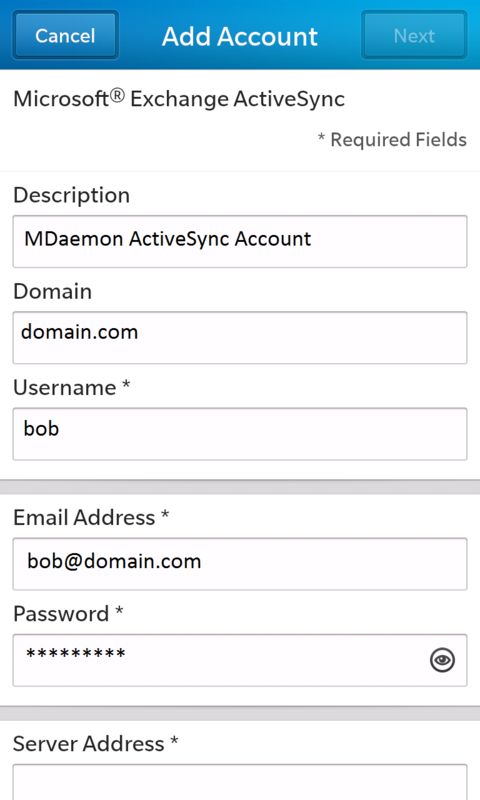 Note: It's important that your 'Username' value is only the bit before the @ sign in your email address as the BlackBerry will construct the logon name it sends to MDaemon using both the 'Username' and 'Domain' values you provide. If you've configured MDaemon ActiveSync to run over http:// rather than https:// the 'Port' value should be changed from 443 to 80. Email Address: Your full Email address (example: user01@example.com). Server: Your server name (example: mail.example.com). 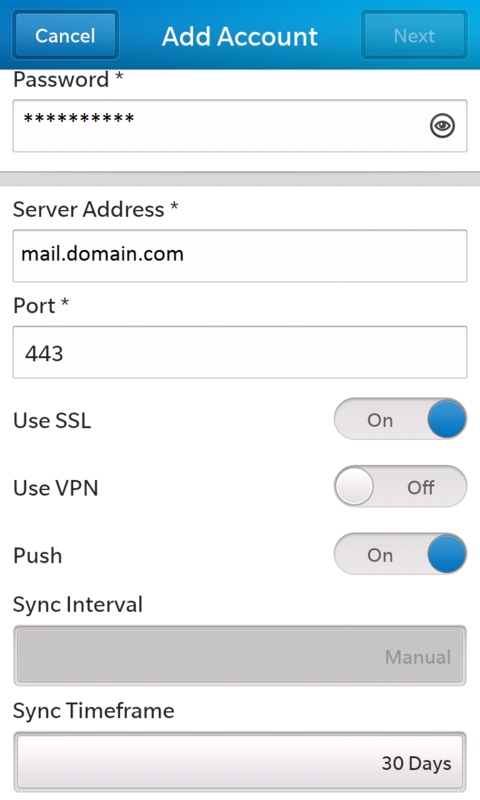 Port: Your MDaemon ActiveSync Port (example: 443). Use SSL: Choose On or Off (ask your MDaemon Administrator). Synch Timeframe: 30 Days is fine.